At Interhampers, it’s important for us to ensure corporations can show clients and staff how much they’re appreciated for all their hard work and contribution throughout the year. Corporate gift hampers are central to our business, and we have a great selection of hampers suitable for you. We have traditional gift baskets to wooden chests to buckets. We have quality wines, beers and spirits for every occasion and budget. If you’re ordering multiple hampers to different locations, we have a bulk order form (click on the CSV form to download) you can fill in to add a different address and message for every hamper in your shopping cart. 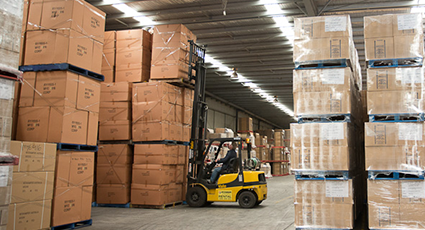 We understand large companies often have multiple clients, it’ll be easy to send lots of personalised hampers in the one order. 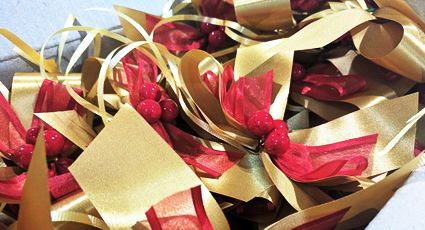 We offer branded ribbons to be attached to our gift hampers with your company logo and company colours. These are one of our most popular corporate gift hamper branding options, and would be great for any business. Send a personal message to each of your clients or staff with our custom gift cards. 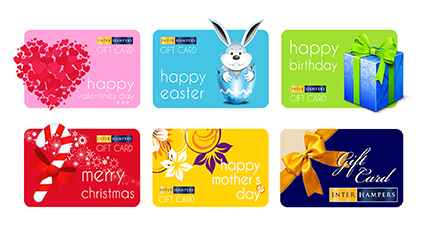 These can be professionally created with your company logo and customised message on your chosen gift card design. These can be attached to your chosen hampers and shipped straight to the lucky recipients. Please note: There is a minimum order quantity for gift cards. Please contact us via phone 1300 888 371 or email sales@interhampers.com.au if you would like to organise personalised corporate gift hampers for your company and include company branding for your clients and staff.